After two consecutive seasons to be eliminated in this tie of the FA Cup Stoke City avoided elimination this season, but nothing is decided. A Stoke who is not making a great campaign in the Championship, where he lost last Saturday against Brentford, away, by 3-1. After 27 days, the potters have 35 points and occupy the 15th position, with 12 more points than the virtually relegated ones and eight of the places for access to the promotion play-offs. 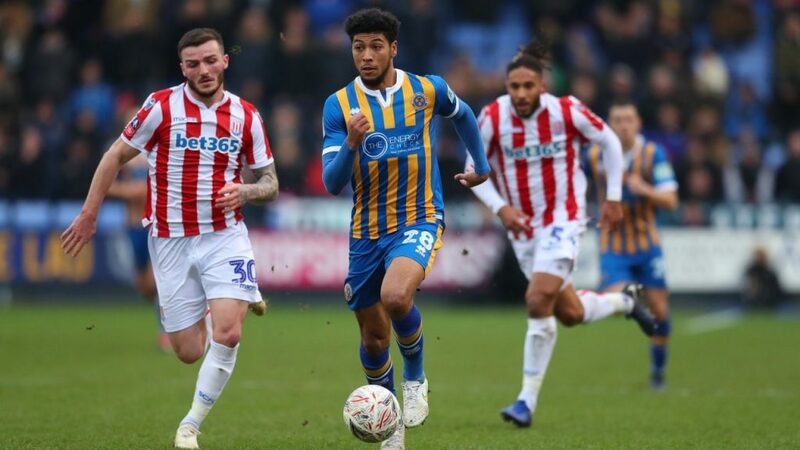 Shrewsbury Town have been competing in the FA Cup since the first round and have also moved away from Salford City and Scunthorpe United in the second round. The team is led by young Sam Ricketts (37) since last month and is not making a convincing campaign in League One, the third tier of English football. Shrewsbury finished 18th with 30 points from 27 games, with only three points more than the last. In the last round of their championship, Shrewsbury were thrashed at home by Charlton Athletic (3-0). A good opportunity to rectify the waste he had in the first game of this third round of the FA Cup. The competition has great significance for the English, is loaded with tradition and history, so I believe that playing at home the commanders of Nathan Jones, who recently arrived at the technical command of the club and has defeated this same opponent this season in League One, will give a good response and manage to win in the 90 minutes, even because they did not get it in the first leg for clear ineffectiveness at the time of finalization, even playing away.